The fastest growing term in the 21st century is "Spiritual but not Religious". An increasing percentage of the population now claim to be "Spiritual". So what does that really mean? "Spirituality is a process of personal transformation, either in accordance with traditional religious ideals, or, increasingly, oriented on subjective experience and psychological growth independently of any specific religious context. In a more general sense, it may refer to almost any kind of meaningful activity or blissful experience. There is no single, widely-agreed definition for the concept." On the other hand terms like, "He's very religious", are starting to have a tinge of fundamentalism, and the word "religion" seems to imply divisiveness, dogma, rituals, traditions, and hardened belief-systems. Is that the image you get in your mind too? Most forward thinking people now walk away from the closed minded approach of religious following or authority. It turns off the liberal minded younger generation in particular. We live in the age of enlightenment, with greater freedom to choose our way of life rather than adhere to social and religious norms. Isn't it? California is often called a double edged sword where we see extreme wealth and cutting edge spiritual awareness. A lot of people have begun to follow aspects from spiritual traditions that they were not born into. About 20% of the US population claims that they are not affiliated with any religion, that includes 30% of those under 30. Individualized forms of spirituality have sprung as spiritual seekers carve out a personal path, integrating elements from many spiritual sources that resonate with them. Spiritual seekers become the beneficiary of all spiritual traditions. Now spirituality implies an inner experience of consciousness, a search for answers about existence, and personal growth. Spiritual masters today give wisdom on life, creation, and consciousness, based on their own spiritual awakening and learning, not from a pulpit based on a book. A mystic is defined as one who has direct experience of divinity, and in times past mystics used to withdraw from the material world. The new age mystics are these spiritual seekers who live in the world while probing the infinite mysteries within, and finding balance in both the inner and outer worlds. The good news is that there's been a surge of spirituality and therefore an increase in mystical experiences. How do we know? A Pew survey from 2009 points to more people claiming spiritual experiences now than they did 10, 20, 30 years ago. The interesting fact is that most of the spiritual wisdom and practices followed today by spiritual seekers and masters is heavily based on the Vedic Dharma ("Hinduism"), and Buddhism. Vedic Dharma is pluralistic, secular, and does not ask for anyone to convert to follow it's wisdom or practices. The nice thing about this new spirituality is that the spiritual aspect can be incorporated in one's life without adopting the "religious" rituals, etc.. 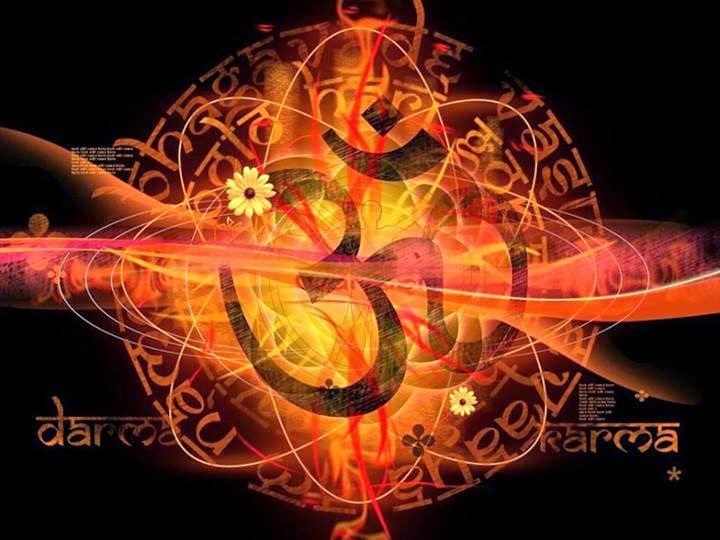 Therefore; no one will claim to be "Hindu" or "Buddhist" even though they have accepted the Vedic tenets of Karma, Dharma, reincarnation, Chakras, Mokha (enlightenment), consciousness, meditation, yoga, breathing techniques and so on. "Ved" means universal eternal knowledge based on truth, and all sources of universal truths come under the umbrella of "Ved". The Vedic tradition does have a plethora of texts, however; a "Hindu" would easily accept wisdom from all traditions, because "Ved" means universal wisdom. Wisdom doesn't belong to any religion, it's inherent in consciousness (another Vedic tenet). As we got exposed to the wisdom of all religious in the information age, and the world became a village, we borrowed and assimilated the best of all faiths. Now is the time we more forward into the age of enlightenment where we live in the oneness of wisdom, universality of love, and break down the hard walls of ignorant belief-systems. Aum-Amen!